Lynked.World is a blockchain based secure platform for individuals and institutions to own, control and share digitally trusted identity, data and documents. Ensuring acceptance of digital identities and documents by unleashing the power of blockchain. Secure storage of digital documents on your mobile device. Requestor first selects the document types from the configurable QR code page. Requestor clicks on "Generate QR" code button to generate a QR code which encapsulates the request for identity and other documents in the form of a scannable QR code. 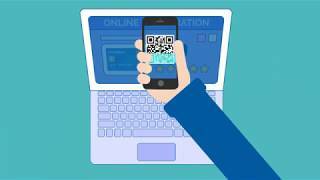 When a user scans the generated QR code, the details of the requestor and the requested documents are displayed on the user’s mobile app. The user can now validate the request and authorize the sharing of his/her own data & documents with the requestor. The authorized documents along with the blockchain authentication for each one of them is now shared from the user’s Digital Wallet to the requestor’s device. The requestor receives the authorized documents and can also validate the authenticity of the individual documents received on the blockchain If needed. The development platform offered by us, empowers any organization to easily create forms, and fluidly deploy the same for multi-area usage. A good example being applications or request forms for different services – services that are intended to be provided by the organizations to consumers via our platform. All the while users will have access to the authenticated digital identities created in our environment thanks to our platform. Continuing from the above example, a user can visit the profile of these organizations and can apply for any of the various services available, by digitally completing and signing an Application form. As an added benefit, the platform also supports the forms to be filled automatically from the user’s profile. Any document required for the purpose of the application can also be automatically attached from our digital wallet and submitted along with the signed form. Organisations can add these digital forms either to their own profile on Lynked.World or publish these forms on external platforms using our API’s. Whenever a user applies to any such service being offered within our platform the digital form is automatically filled with data from the user’s Digital Wallet. Any required documents are also automatically attached to the digital form. 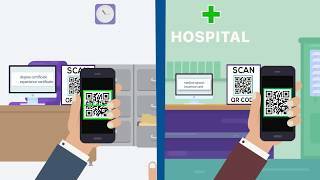 In case of applying for such a service hosted on an external platform, the data and documents are filled up after the user scans a QR code which encapsulates the details of the form and is visible on the external platform. The User then has to digitally sign the application form to complete the application process. The digital signature is also stored on the blockchain. Once applied, the required data along with the documents are submitted with the user’s digital signature. The Organisation providing the service now receives the digital application with the requested documents and can also verify the authenticity of the identity, documents and signature on the application form directly on the blockchain. An identity-based application to place users in a virtual queue, for availing certain services sequential way i.e. to simulate a first come first serve working basis. Lynked.World’s Multi-Signature Contracts based on Ethereum blockchain aims to make digitally signing of contracts convenient and worry-free. Our remittance service is safe, fast & reliable. It is a quick and easy way of transferring personal Remittance from abroad to beneficiaries in minutes. e-Voting scenarios appear quite frequently and hence our platform will also provide a blockchain-based voting system that makes voting completely secure. Lynked.World tokens (LYNK) are ERC20 tokens based on the Ethereum platform. New LYNK tokens after the initial issue of 200,000,000 can only be generated from the reserves based on redemption of Lynk Boost Dollars into LYNK. Once the total number of LYNK tokens issued reaches 500,000,000 the company will initiate buyback programs to purchase LYNK tokens from open market to be able to continue the “Community Rewards System”. base price (0.35 USD) for each LYNK token. Below is an indicative timeline for the development of the Lynked.World ecosystem. Scroll to the down to see our planned features and marketing initiatives for the all 8 quarters !!! General Manager, Jubilant FoodWorks Ltd.
CEO at DXCorr Design Inc. Founder at ASADEL Technologies Pvt. Ltd. The Lynked.World Platform was officially inaugurated at the 58th National Cost Convention 2018 organized by The Institute of Cost Accountants of India. The event was attended by renowned dignitaries in India. Our Initiative with MSTC (India’s largest government body responsible in auctions) aims at reinventing the E-Rakam portal. E-Rakam is a first-of-it-kind initiative that leverages technology to connect farmers from the smallest villages to the biggest market of the world through internet. It brings together farmers, FPOs, PSU, Civil supplies and buyers on a single platform to ease selling and buying processes of agriculture products. With our solution, we intend to make things fair for the sellers of agricultural products by removing subsidiaries or intermediaries in the end-to-end process. With our easily customizable applications and product features, we intend to make it easy for educational institutions to issue certificates, maintain education records and attendance registers etc. in a digital format while at the same time ensuring the trust and authenticity of such records using our blockchain based SaaS applications for the Education Sector. Our data analytics suite also make the tracking and reporting of all data a breeze. Our applications focused on healthcare will allow medical records and certificates to be stored digitally in a single repository providing healthcare professionals with a chronology and medical history for patients. Combined with our state of the art data analytics capabilities, healthcare professionals can get assistance for speedy and correct diagnosis. Additionally, our applications can also be used by doctors and clinics to manage their day-to-day activities including registration of patients and scheduling appointments digitally. Lynked.World has made interaction with parents very convenient. Parents are very happy to get student report card and other details in timely manner. It has also supplied the admission process. Currently many a times shipments are getting delayed at port for required documents. Sharing authenticated documents feature of Lynked.World is amazing and we hope it will solve this issue. Our guests are presently surprised at our reception for our check-in process. Thanks to Lynked.World. Lynked.World's Digital Id on blockchain is going to simplfy the way we do transactions in day-to-day life. I really like Lynked.World's login feature, login without login ID, Its really amazing, Just scan QR code and its done. I like Lynked.World employment verification engine. Its going to reduce time and cost for the companies and at the same time it will greatly enhance the value of digital profile of the candidates. its really great. It really great having a verified profile stamped by current and new employers on Lyked.World is undoubtedly a great addition. It immediately creates trust between recruiters and employees.It makes life whole lot easier.